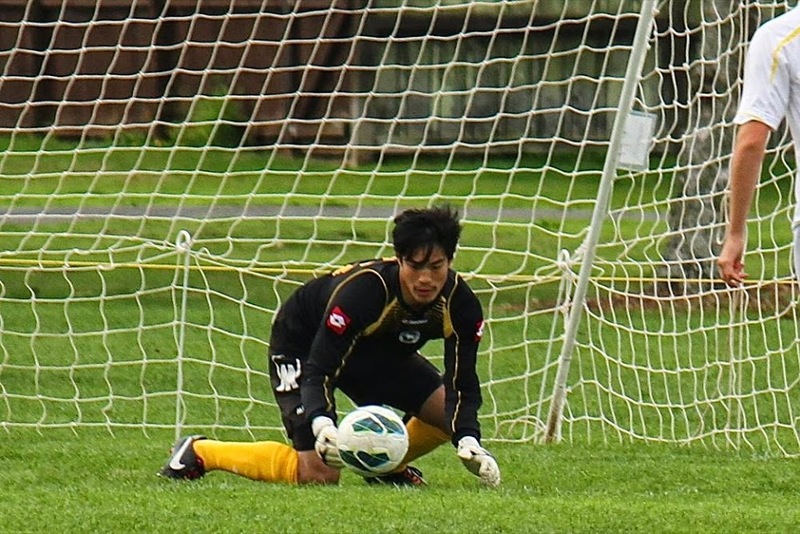 Modest, mild-mannered, and masterful between the sticks: Meet Ernest Wong, ESAFC Number 1. When you step into Madills Farm clubhouse, spiritual home of Eastern Suburbs AFC, it is impossible to miss the grand board on the wall which houses the names of all the Lilywhites players to have represented New Zealand at any level. One of the names emblazoned on said board is that of “E. Wong”. 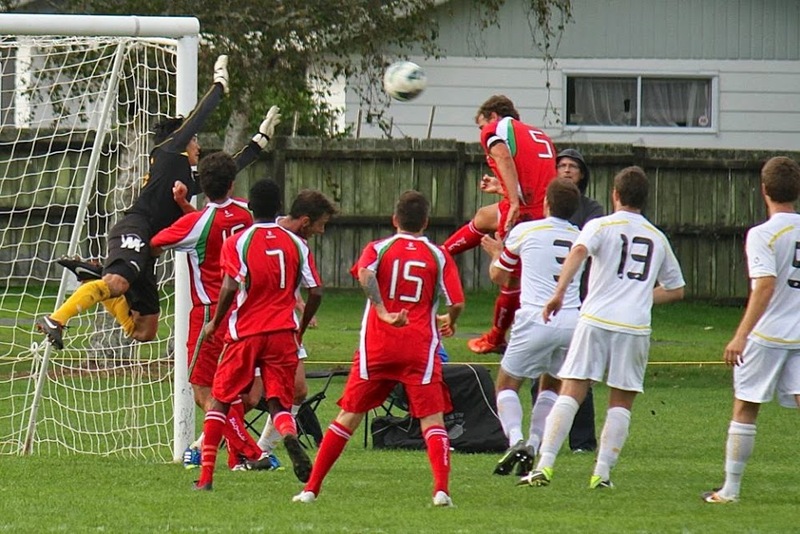 Wong represented his national team at the 2007 U17s World Cup and U19s Secondary Schools, and can now generally be found gracefully prowling and commanding the penalty areas of grounds up and down Auckland as the ESAFC number 1. For a man of 23 he has a perhaps surprisingly anecdote-laden career to date, and shared some of his experiences with me for this week’s ESAFC blog. 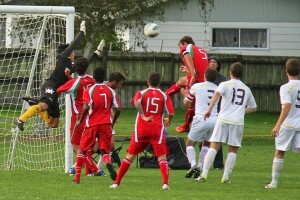 Having began playing in goal roughly 11th or 12th grade, and first joining Ellerslie, “Ernie” has enjoyed a steady stream of success which has seen him work his way up to undisputed Number 1 at the Eastern Suburbs, via worldly trips to Korea, the UK, Malaysia and Singapore. Whilst goalkeepers are stereotypically recognized as being of a taller ilk, Wong is built slightly more diminutively, and bases his game on goalkeepers of similar physical stature. “Huge Lloris or Iker Casillas – Schmeichel was the best ever, but I’d like to be like those two,” Ernie proclaims when questioned on his heroes and whom he aspires to be like. His fondness for the Frenchman Lloris also explains why Ernie sports the 25 on the back of his jersey, rather than the more traditional number 1. 2006 marked the beginning of a fairly meteoric rise – which actually coincides (obviously) with when Wong joined Eastern Suburbs – and culminated in a call up to New Zealand U17s training camps and some game time against Tahiti. When the squads were announced for the 2007 U17s World Cup in Korea, Ernie was selected, though the details of the call-up elude him. “It was a really good feeling. The squad was picked but I’m unsure how I was told though! I didn’t get any game time but it was brilliant to be around some of the players”. Wong is alluding to a number of now-recognised players that play at the highest level. “I remember Victor Moses scoring and doing back-flips and stuff, and Danny Welbeck. They both scored two actually. And I remember the Rafael twins. The best player was the Spanish dude Bojan [who went on to represent Barcelona and Roma]”. One moment from the World Cup really sticks in Wong’s memory. Fresh from keeping his mouth shut following the scandalous Samba thievery, Ernie returned to Auckland and in 2008 was soon jetting off to England for a collection of tour games arranged by former Auckland City player Paul Seaman (no relation to ponytailed goalkeeping maestro David). Games included West Brom, Colchester, Northampton Town, Charlton and Fulham and Ernie, despite being based in Luton – a town that makes Invercargill look like a glamorous holiday spot – speaks highly of his time in the UK. World Cups and playing against professional English teams are one thing, I hear you cry, but what about the Eastern Suburbs!? 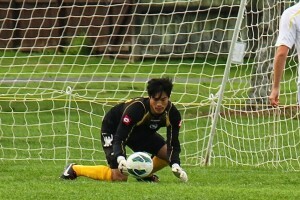 In 2009 Wong broke into the Suburbs Reserves for the first time and actually went on to win Player of the Year, though forgot to attend prize-giving. “I never got my trophy I don’t think”, Ernie chuckles; note to C. Ruffell – pull out the archives, dig into the vaults, let’s find this dust-ridden award. Recognisable by now due to a ninja-like pony-tail Wong’s stock at Madills continued to rise through the 2010 season and he would soon become Premiers No. 1 the following year. Barring a minor hiccup it is a position he has held ever since and having returned from yet another overseas adventure at the start of this year, Wong is in as good a form as ever. Despite training with a club named Geylang International and another called Tampines Rovers, Ernie was convinced it was a dead-end as there was some understandable reluctance from the locals to just let a seemingly random player train. From being despondent in Singapore to getting tips from Malaysia’s number one, Ernie returned to Auckland with another international anecdote and has seen this season’s Eastern Suburbs side roar to the top of the table. When questioned on the team’s chances, the conviction is clear. “It’s the youngest team I’ve been involved in, and I’m certain we will win the league”. Such a forthright declaration bodes well for the remainder of the season, and the Suburbs will hope Wong’s performances remain in “keeping” (pun intended) with his career to date; interesting, enjoyable and ultimately successful.